Kenneth W. Hagin is President of Kenneth Hagin Ministries and Pastor of Rhema Bible Church in Broken Arrow, Oklahoma, with an extension campus in Oklahoma City. He ministers around the world. Known for calling the Body of Christ to steadfast faith, he seizes every ministry opportunity to impart an attitude of "I cannot be defeated, and I will not quit." Rev. Hagin began preparing for his call to ministry—a ministry that now spans over 50 years—at Southwestern Assemblies of God University. He graduated from Oral Roberts University in Tulsa, Oklahoma, and holds an honorary Doctor of Divinity degree from Faith Theological Seminary in Tampa, Florida. In his early years of ministry, Rev. 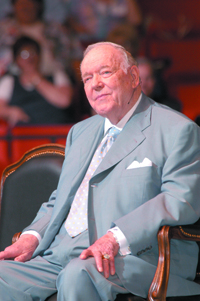 Hagin was an associate pastor and traveling evangelist. Later, he went on to organize and develop Rhema Bible Training Colleges in Broken Arrow, Oklahoma, and in other countries around the world. Kenneth W. Hagin's array of responsibilities also includes International Director of Rhema Ministerial Association International. He hosts the annual A Call to Arms® Men's Conference, and with his wife, Lynette, co-hosts Rhema Praise, a weekly television program, and Rhema for Today, a weekday radio program broadcast throughout the United States. They also conduct Living Faith Crusades, spreading the message of faith and healing around the world. Recognizing the lateness of the hour before the second coming of the Lord Jesus Christ, Rev. Hagin has expanded his speaking schedule beyond his regular pastoral duties. To fulfill the urgent call of God to prepare the Church for a deeper experience of His Presence, Rev. Hagin delivers messages that reveal key spiritual truths about faith, healing, and other vital subjects. He ministers with a strong healing anointing, and his ministry leads the Body of Christ into a greater experience of the glory of God! Kenneth W. Hagin and his wife live in Tulsa, Oklahoma. He is the son of the late Kenneth E. Hagin. Passionate, joyful, and vibrant . . . these words best describe Lynette Hagin. Lynette is an author, teacher, and conference speaker and host. She serves as the Director of Rhema Bible Training College and General Manager of Kenneth Hagin Ministries. 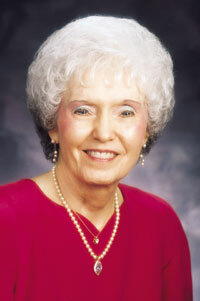 She also assists her husband, Kenneth W. Hagin, in pastoring Rhema Bible Church. Lynette’s leadership has been instrumental in shaping the lives of thousands of women through her annual Kindle the Flame® Women’s Conference. Many more lives are touched through Rhema Praise, a weekly television broadcast, and Rhema for Today, a weekday radio program, both of which Lynette cohosts with her husband, Kenneth. They also conduct Living Faith Crusades around the world. Lynette exemplifies the woman of balance—balancing womanhood, motherhood, and ministry as she encourages and inspires others to do the same. She is ordained through Rhema Ministerial Association International. When Kenneth E. Hagin married Lois Oretha Rooker on November 25, 1938, they never knew the impact their lives and ministry would have on countless people around the world. Known by many as Mom and Dad Hagin, they set an example in marriage and ministry that will live on through their “spiritual children” for generations to come. Rev. Kenneth Erwin Hagin was born on Aug. 20, 1917, in McKinney, Texas. Rev. Hagin was sickly as a child, suffering from a deformed heart and an incurable blood disease. He was not expected to live and became bedfast at age 15. In April 1933 during a dramatic conversion experience, he reported dying three times in 10 minutes, each time seeing the horrors of hell and then returning to life. In August 1934, Rev. Hagin was miraculously healed, raised off a deathbed by the power of God and the revelation of faith in God’s Word. Jesus appeared to Rev. Hagin eight times over the next several years in visions that changed the course of his ministry. In 1967, he began a regular radio broadcast that continues today as Rhema for Today. In 1968 Rev. Hagin published the first issues of The Word of Faith. That magazine, now produced nine times a year, has a circulation of over 200,000. The publishing outreach he founded, Faith Library Publications, has circulated worldwide more than 65 million copies of books by Rev. Hagin, Kenneth W. Hagin, Lynette Hagin, Craig W. Hagin, and several other authors. Faith Library Publications also has produced millions of audio and video teachings. Other outreaches of Kenneth Hagin Ministries include Rhema Praise, a weekly television broadcast hosted by Revs. 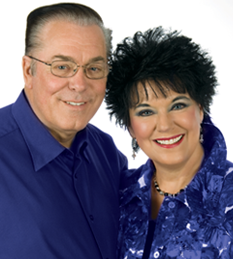 Kenneth and Lynette Hagin; Rhema Correspondence Bible School; Rhema Alumni Association; Rhema Ministerial Association International; the Rhema Prayer and Healing Center; and the Rhema prison ministry. In 1974 Rev. Hagin founded what is now Rhema Bible Training College. The school has campuses all over the world and continues to expand. Until shortly before his death, Rev. Hagin continued to travel and teach throughout the United States and into Canada conducting All Faiths’ Crusades and other special meetings. Known as the “father of the modern faith movement,” Rev. Hagin was a dynamic preacher, teacher, and prophet. His teachings and books are filled with vivid stories that show God’s power and truth working in his life and the lives of others. He will be remembered not only as a great minister but as a great family man—for his family was his heart. He was there at every milestone ready to talk, to answer, to pray. He was a man whose belly laugh filled the room at the sight of one of his grandchildren or great-grandchildren. Oretha Hagin was born on November 2, 1918, in rural Collin County, Texas, the daughter of Elbert Harvey Rooker and Savannah Elizabeth McCormick Rooker. She grew up on the family farm and was well-loved by her doting father. On November 25, 1938, Oretha married a young preacher named Kenneth E. Hagin, who had come to the nearby community of Tom Bean to pastor a small Assembly of God church. Soon afterward, Kenneth and Oretha moved to Farmersville, Texas, where their first child, Kenneth W., was born in September 1939. The Hagins’ second child, their daughter Pat, followed soon afterward in March 1941. From 1941 to 1949, Kenneth Hagin continued to pastor several churches and travel in field ministry. Throughout those years, Oretha was at her husband’s side, traveling with him whenever possible and helping him in the ministry. In 1949, Kenneth Hagin left his last church by the leading of the Lord to go out into field ministry. For the most part, Oretha stayed home with the children, providing a steady, godly influence as she raised them with a firm but loving hand. Oretha’s strength of character, wise guidance, and steadfast love were a strong influence on her children during their growing up years when their father had to be away, greatly shaping and helping to prepare Ken and Pat for the far-reaching ministries they lead today. Throughout her life, Oretha never failed to demonstrate her lifelong commitment to God, her deep love and respect for her husband of 64 years, and her indomitable strength of will that never gave in or gave up⎯right up to the last breath she took on this earth. Lovingly known as “Mom” to many of the people she ministered to over the years, Oretha Hagin will always be remembered as a dedicated and gracious woman and servant of God, a godly wife, and a loving mother and grandmother. Because of Oretha’s obedience to faithfully serve at her husband’s side for more than six decades⎯and because of Kenneth and Oretha’s obedience together to raise up spiritual children all over the world⎯thousands upon thousands of their spiritual children are now preaching and ministering the message of faith and obedience all over the world, setting captives free and making a difference for eternity.